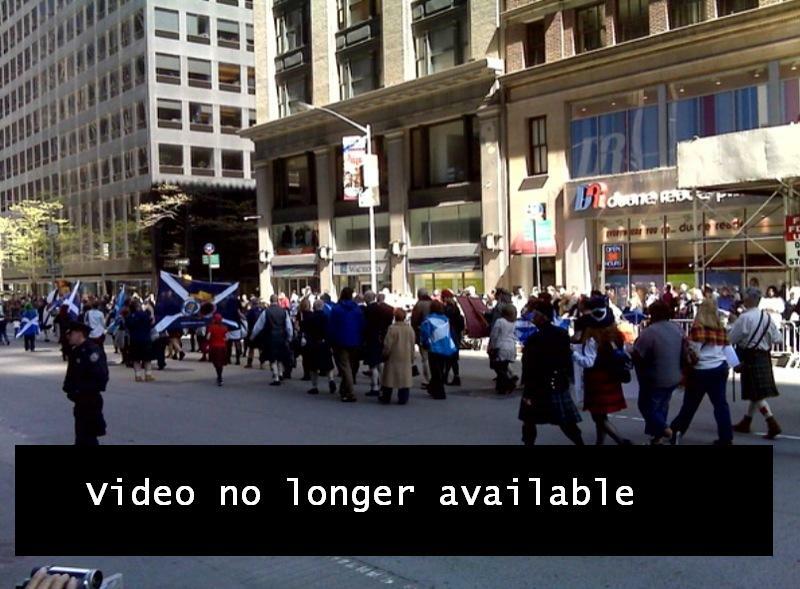 Live webcam video from a beautiful day in NYC of the 12th Annual New York Tartan Day Parade can be found here from 2pm Eastern Time. The camera is situated at 6th Avenue and 48th Street. Need some musical accompaniment? How about tunes from Dear Scotland – The Mixtape Volume 1?  Archived in The Life and tagged Scotland, Scottish, Tartan Day. Bookmark the permalink. Where is the parade? I just see taxis!! Looks like your feed was just hijacked? Yeah well we were sort of “borrowing” it.